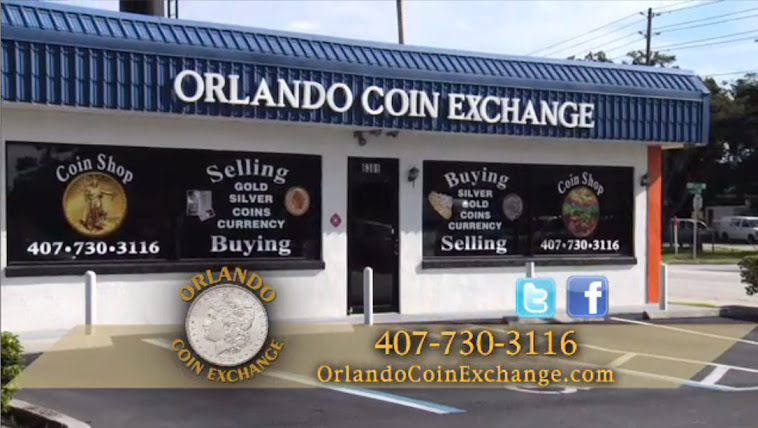 Orlando Coin Exchange: 1891-O morgan dollar...undesirable coin or diamond in the rough? 1891-O morgan dollar...undesirable coin or diamond in the rough? The 1891-O morgan dollar is one of my favorite coins. Most collectors overlook this coin because it is widely considered the most flatly struck of all morgan dollars. The coin typically comes with average to below average luster, and is easily found in grades ag to xf. So why in the world would this coin be my favorite morgan dollar? It doesn't have the vibrant luster of an 1881-S or the low mintage of the 1893-S. The main reason the 1891-O is my favorite morgan dollar is because of its rarity. Yes, the coin is rarer in mint state but not nearly as rare as a host of other morgan dollars. An ms64 can be had for $700-$900, while a 93-S can't be touched in ms64 for less than $100,000. However, finding a well struck and lustrous example of an 1891-O is much harder to find than a mint state 93-S. I have found only a few well struck 1891-O's over the years, and none graded higher than AU-55. Now I'm not saying that a well struck and lustrous 1891-O in mint state will ever bring remotely close to the amount of 1893-S in mint state. However, I have been searching for an1891-O of this pedigree for over 15 years and still haven't found one. The rarity of this coin may never be realized at any point in my lifetime, but it won't keep me from searching.